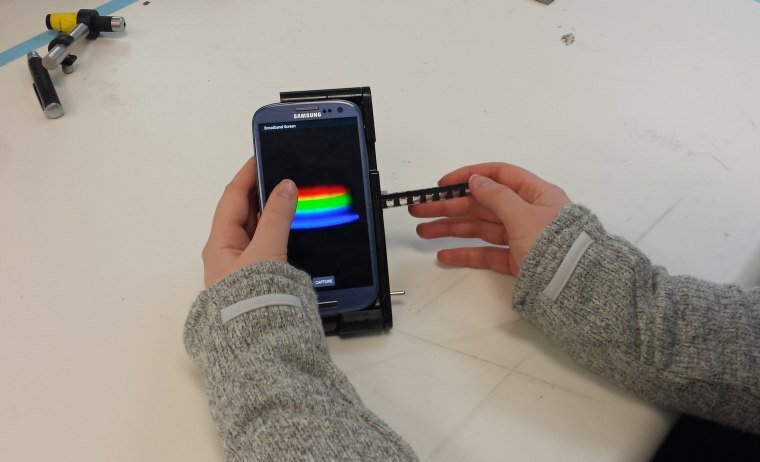 System developed by researchers at the University of Illinois at Urbana-Champaign connects to a smartphone to serve as a mobile laboratory. The advent of the smartphone was a key development in the technological evolution of our species. What used to be relegated to entire rooms and even buildings can now fit snugly in our pockets, giving each person the potential to access massive amounts of information from the palm of their hand. This evolution has not reached its apex, however, as continuing innovations are allowing for more and more capabilities for the technology. With the help of some researchers at the University of Illinois at Urbana-Champaign, we can now even replace medical labs with technology optimized by a smartphone. The relatively inexpensive system known as the spectral transmission-reflectance-intensity (TRI)-Analyzer costs only $550. The device uses light and spectral analyses to do many of the most common laboratory tests. “Our TRI Analyzer is like the Swiss Army knife of biosensing,” says Brian Cunningham, the Donald Biggar Willett Professor of Engineering and director of the Micro + Nanotechnology Lab at Illinois.